In January, J Alberto Lopez, cardiac electrophysiologist, Texas Heart Institute, used the Arctic Front Cardiac CryoAblation Catheter System (Medtronic) to perform ablations on two women with refractory recurrent symptomatic paroxysmal atrial fibrillation. Approved for use by the FDA on 17 December 2010, Arctic Front is the first cryoablation system indicated to treat paroximal atrial fibrillation. 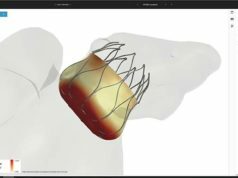 Unlike traditional ablation treatments that use radiofrequency, or heat, to destroy faulty electrical circuits in the heart, Arctic Front uses a freezing technology, with a coolant delivered through a balloon catheter. This permits the catheter to adhere to the tissue during ablation, allowing for greater catheter stability. The cryoballoon procedure, on the other hand, is simpler, demands much less high-tech equipment and is cleaner, he said. J Alberto Lopez has been a clinical investigator on cryoablation technology for the last five years and has traveled internationally to train with other colleagues on the technology. Lopez also previously served on the advisory board for the initial developer of the cryoballoon system and has recently been appointed to the advisory board for its successor company.